According to Terry Richard travel author for The Oregonian, one of the top five best day hikes along the Pacific Crest Trail (PCT) in northern Oregon is to Dry Creek Falls. 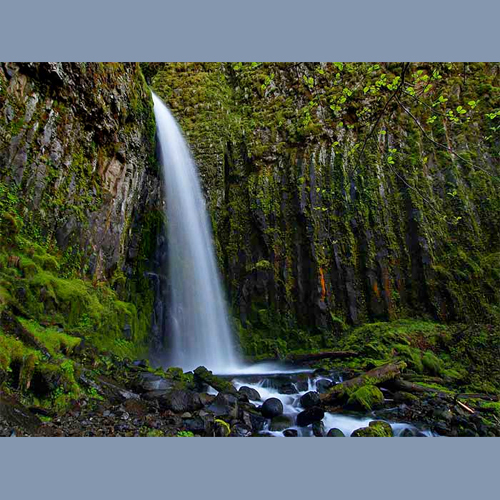 Located in the Mount Hood National Forest, the Dry Creek Falls is a gorgeous location for hiking, waterfall photography, picnicking with the family and more. Learn why Dry Creek Falls made top top five best day hikes along the PCT below. Dry Creek Falls: The trailhead for this short hike begins at the day use park on the south side of the Bridge of the Gods in Cascade Locks. It's interesting to see how the PCT crosses under Interstate 84 and weaves through the only incorporated city located directly on the 2,650 miles of the trail. Hike two miles on the PCT, then take a short side path to Dry Creek Falls. Despite the name, it's another gorgeous gorge waterfall. Back at the trailhead, take time to walk across Bridge of the Gods. The roadway isn't very wide, so stay along the railing and face traffic. Do this during daylight only. The view is amazing, much better than when driving across.